Stephen Alexander Homes is one of the Hampton Roads leading homebuilders, dedicated to developing quality neighborhoods and building the finest new homes throughout the area. 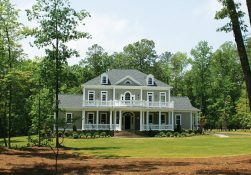 Over the years, Stephen Alexander Homes has earned a reputation for excellence through quality craftsmanship, unique design, superior service and community involvement. Their mission statement is to create, assemble and deliver exceptional homes in exceptional neighborhoods through a client centered environment.